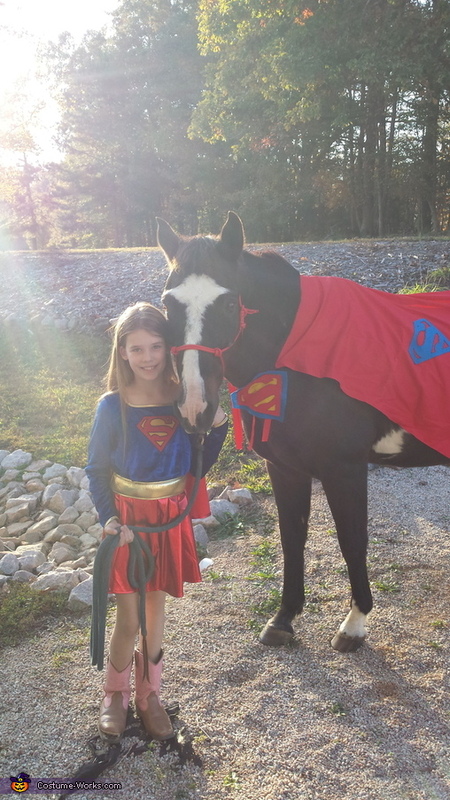 This is my little sister Gretchen and her horse Satchmo. She rides him once a week and they go on all kinds of adentures together. She made his costume herself using fabric and felt.